Announcement ★ Enjoy 30% off when you buy 3 or more items! 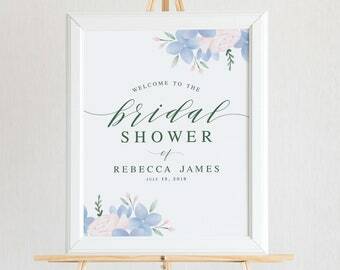 Offer valid until 04/30/19 and excludes custom orders ★ Browse our collection of unique wedding templates and printable goods, including wedding signs, invitations, seating chart ideas, table numbers and more! Open Monday - Friday. Closed weekends & holidays. I do accept a limited number of custom orders. Contact me in a private message for current availability and a quote. ★ Enjoy 30% off when you buy 3 or more items! 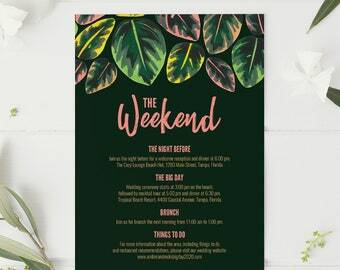 Offer valid until 04/30/19 and excludes custom orders ★ Browse our collection of unique wedding templates and printable goods, including wedding signs, invitations, seating chart ideas, table numbers and more! Really not good. I wish I never spent money on this. She is explaining how to edit which is fine for only the vertical cards. I wanted a mix and its impossible to get the horizontal frame to match as it has two boxes and you must use both. I cannot change the font size on that one either, only the vertical one. I have the most updated program. It's the format. Terrible. Don't waste your money. Easy to edit, looked great! 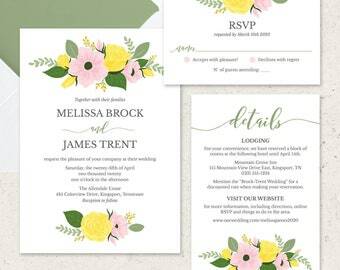 If I keep listing floral wedding invitation templates, will spring come sooner? 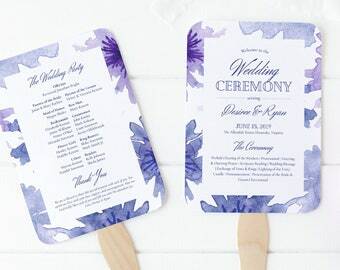 Wedding program fans are a thoughtful addition for guests attending outdoor ceremonies during the warmer months. 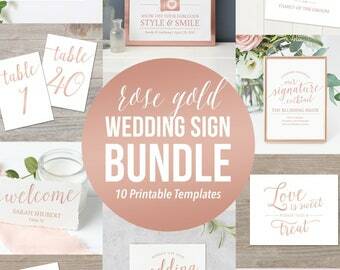 Ideal for watercolor wedding programs on a budget, this template makes a great DIY project! 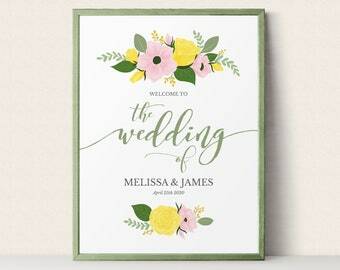 My name is Carrie and I am the designer and illustrator for MyCrayons Designs, home to unique printable templates for weddings, bridal, baby showers, wall art, organization and more. Montana Drukkerij is the small Belgian-based print shop of Walter and Kristel, who help to produce my wedding invitations and other stationery items in Europe. 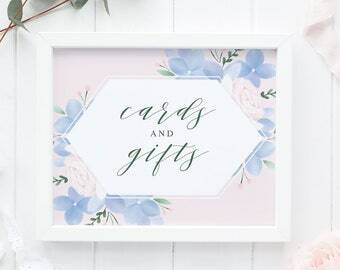 A professional printing company that specializes in stationery, as well as specialty items like stickers, notepads and coasters. 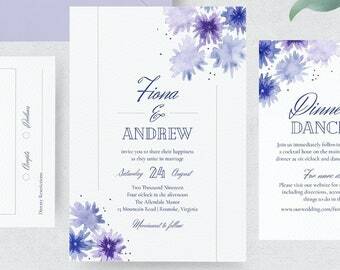 They currently help to produce my wedding invitation packages in the USA. See shop announcement for current turnaround times and upcoming vacations. If you are unhappy with your purchase for any reason, please contact me directly so we can achieve a solution together. I greatly value the satisfaction of my customers as well as maintaining fair, professional policies for myself as a seller. • Digital downloads, provided the templates have not been downloaded and a request received within 24 hours of purchase. 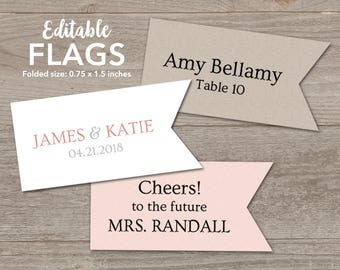 • Custom orders (digital or physical), provided a cancellation notice is received within 24 hours of purchase before custom work has started. Once customization is underway, partial refunds may be available on a case by case basis. For EU customers, the required VAT is automatically added at checkout on digital download orders. All proofs and high resolution files are delivered through email. Keep in mind, that the turnaround time is an estimate and directly affected by the response-time of the buyer to give necessary feedback in a timely manner. It is the sole responsibility of the buyer to carefully review all proofs and templates for any spelling, punctuation, grammar or capitalization mistakes. We recommend asking a close friend or family member to assist with the reviewing process. MyCrayons Design is not responsible for errors of this nature nor for any printing costs incurred. Colors are displayed as accurately as possible, however, an on-screen proof cannot perfectly match the color and density of a printed card. While usually minimal, color variation can occur due to differences in monitor calibration, the viewing device, printer quality and paper type. By purchasing with MyCrayons Design, you are agreeing to this limitation. When in doubt, test printing is strongly recommended. 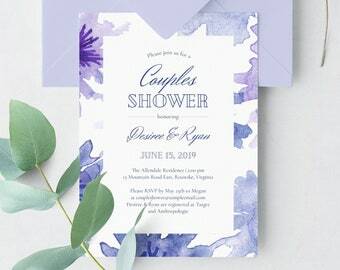 All designs and templates provided by MyCrayons Design are in high resolution (300dpi), however, the quality of the final print is the sole responsibility of the buyer and will depend on the type of printer and paper used. 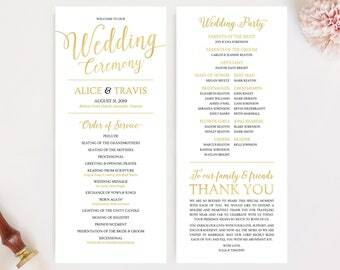 Particularly for editable templates, please carefully review the printing tips provided in the instruction guide included with your download. 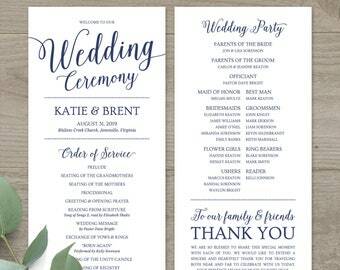 Our templates may slightly change over time and new designs added regularly as we strive to better adapt to our customer's needs and requests. Certain information is required for me to fulfil my services to you when you place an order in my shop. 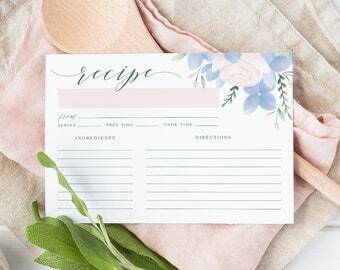 This information (which you authorized Etsy to provide to me) may include your name, email address, item order details, shipping address, payment information, and any other personal details you choose to provide. How is your information shared with third parties? 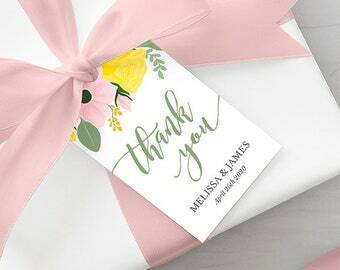 • Service providers - I engage certain trusted third parties to perform functions and provide services to my shop, such as delivery and printing companies. I will share your personal information with these third parties, but only to the extent necessary to perform these services. • Compliance with laws - I may collect, use, retain, and share your information if I have a good faith belief that it is reasonably necessary to: (a) respond to legal process or to government requests; (b) enforce my agreements, terms and policies; (c) prevent, investigate, and address fraud and other illegal activity, security, or technical issues; or (d) protect the rights, property, and safety of my customers, or others. Your personal information is retained only for as long as necessary to provide you with my services as described in this policy. However, I may also be required to retain this information to comply with my legal and regulatory obligations, to resolve disputes, and to enforce my agreements. I generally keep your data and any email correspondence records for a period of 4 years. In order to fulfil my services to you, I may transfer your personal information to third-party services in the United States and other jurisdictions, which may have different data protection and government surveillance laws than your jurisdiction. For instance, if you sign up for my newsletter, I rely on MailChimp, which is based in the US and is Privacy Shield certified, as my marketing automation platform. Your rights in relation to your personal information may vary depending upon the laws that govern your jurisdiction. If you are a European resident, you have the right to access personal information I hold about you, restrict my access to certain information, and to ask that your personal information be corrected, updated, or deleted. Except under exceptional circumstances where I am required to store data for legal reasons, I will generally delete your personal information upon request. If you would like to exercise this right, please contact me using the contact information below. If you have subscribed to my newsletter, you can opt-out anytime by simply clicking the unsubscribe link in the footer of any email. This policy may be updated from time to time in order to reflect changes to my practices or for other operational, legal or regulatory reasons. 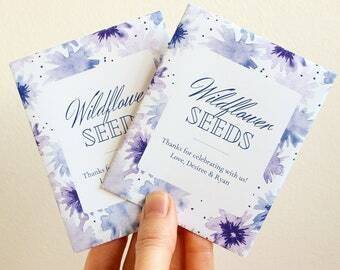 How should I print my cards? 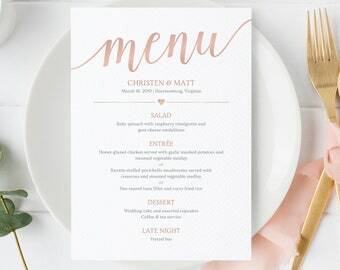 We recommend printing and trimming your cards at home if you have the materials, or through at a local print shop such as Staples or FedEx Office. It is NOT recommended to upload the editable PDFs to print online as the editable text can be stripped out in the process. 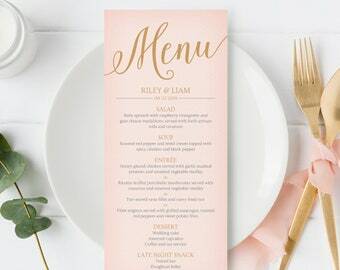 If you plan to use an online printing service, a work-around solution is provided in the printing tips as part of the instruction guide included for editable templates. Please review this carefully. Can you print for me? Yes! 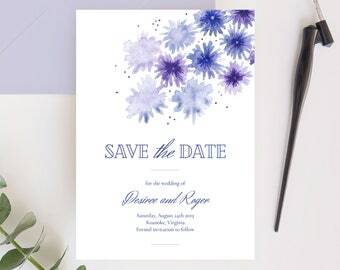 MyCrayons Design can arrange the printing for select items, including invitation sets, save the dates, menus and programs. 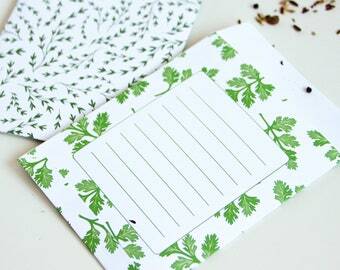 A few exceptions to this are printed table numbers, individual signs, spice labels and flat place cards. Contact me for a custom quote. Which paper should I use? The best paper stock and weight will vary depending on the template's intended use and your personal preferences. 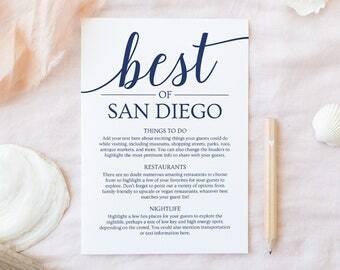 Generally, an uncoated bright white paper is recommended for the best color results. 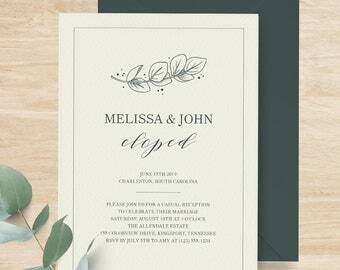 Light colored or kraft paper can be used for designs with a white background and darker design elements. A paper weight between 80 - 130 lb cover (approximately 220 - 350g) is recommended for most designs. How do I trim my cards out? 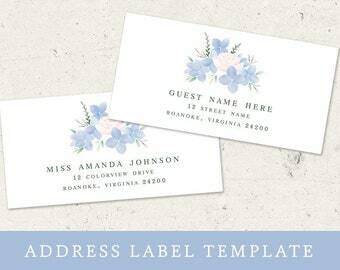 Trim guides (or crop marks) are included on printable stationery around the corners of each card so you know where to cut them out. 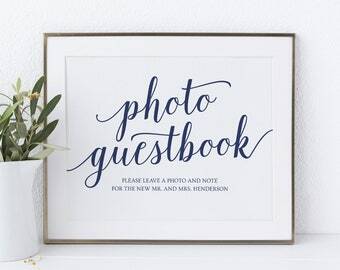 These guides work best with a paper cutter or X-acto knife. However, if using scissors, I recommend first using a straight edge to make a very light pencil line along the edges before cutting. 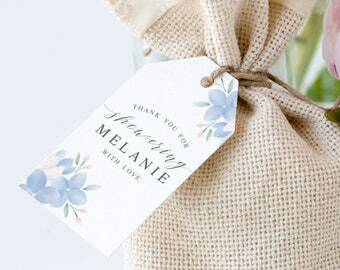 For favor tags and labels, you may also use a circle, square or flourish punch in the appropriate size to cut out your tags. How can I be sure my colors will print correctly? We do our best to display colors as accurately as possible. 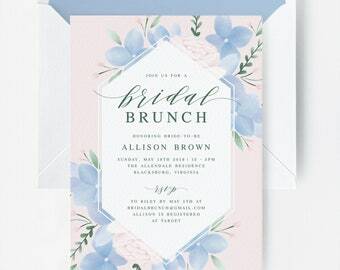 However, because an on-screen proof cannot perfectly match the color and density of a printed card, it is recommended to do a test print before placing a full order whenever possible to ensure color accuracy. 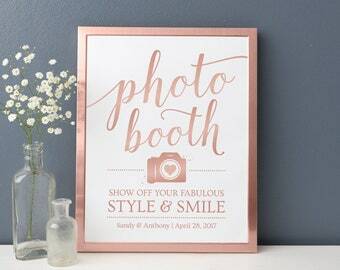 Although usually minimal, color variation can occur due to differences in monitor calibration, the viewing device, printer quality and paper type. By purchasing with MyCrayons, you are agreeing to this limitation. All designs are for PERSONAL use only.